Annie's Signature Designs! You'll hit the big time with this vest! 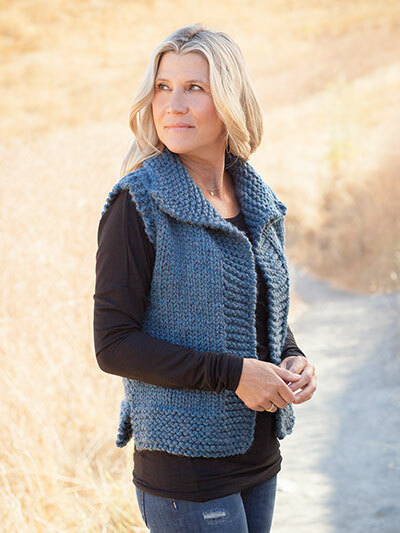 This ultracozy vest is not only truly versatile and great for year-round wear, it's simple and a joy to knit! Knit with 5 (6, 6, 7, 8) skeins of Plymouth Yarn Encore Mega using U.S. size 17/12.75mm needles. Chest: 37 (41, 45, 49, 53)"
Length: 19 (20, 21, 22, 23)"
I made two of these vests for Christmas presents last year, they loved them. I plan to make another one this year. It knitted up easy with clear instructions. I'm glad I bought this easy pattern. 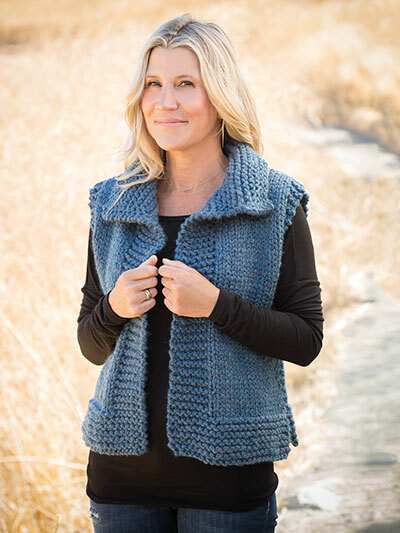 I'll make several vests for me and my friends with different kinds of yarns other than the super bulky yarns required by the pattern. I enjoyed making the vest. However, I'm not yet finished and I think I may have to buy another skein. I used a #15 needle and used the medium size numbers although I am a size small. The yarn calls for #15 but the pattern called for #17 (which I don't have). It's easy and pretty and I hope the recommended amount is correct. 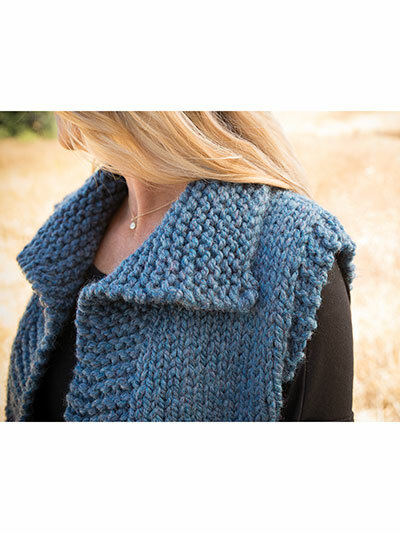 Such an easy pattern that knits up quickly thanks to the super bulky yarn. Very clear directions too. For beginners, they might want to watch a youtube video to see how to sew these pieces together nicely. 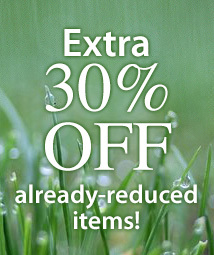 Very good price for the pattern too. Thanks an easy and great pattern, really enjoyed knitting.